Summary: In the midst of Prohibition, Jimmy Quinn joins forces with screen siren Fay Wray to take on a King Kong–size case of extortion. 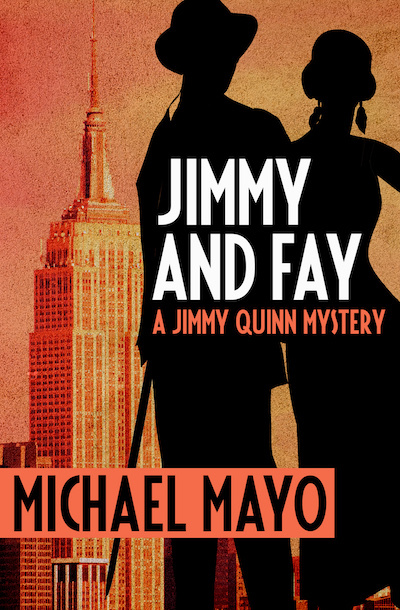 I am always looking for a good mystery for my Mystery Mondays feature, and JIMMY AND FAY: A JIMMY QUINN MYSTERY by Michael Mayo just might fit the bill. This novel is the third in the Jimmy Quinn mystery series and sounds terrific. It's a story that takes place in the 1930s during the Prohibition and involves a mystery surrounding Fay Wray, the actress who starred in King Kong, and a blackmailer with some dirty photos. Unfortunately, I haven't been reading all that much these past few weeks, and I knew I wouldn't get a chance to read this one any time soon. So... instead of a review, I'm offering you something even better -- a copy of JIMMY AND FAY! To enter, just fill out the form below before January 2nd at 11:59 p.m EST. I will randomly select and notify the winner the following day. This contest is open to those of you with U.S. addresses only. Good luck! Thanks to Saichek Publicity for providing the giveaway copy of this novel. Sounds like a fun mystery.